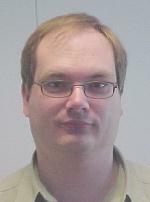 Henrik Kristensen is a Systems Engineer with Sun Microsystems. He holds an MSc in computer science from University of Copenhagen. Working for Locus Computing Corporation, Digital Equipment Corporation and Sun Microsystems as a consultant and IT architect he has for the last 10 years been advising customers on IT infrastructure and systems integration. Prior to that Henrik worked as en embedded systems programmer.